Dr. Suat Odar has 43 years of experience in power plant chemistry. 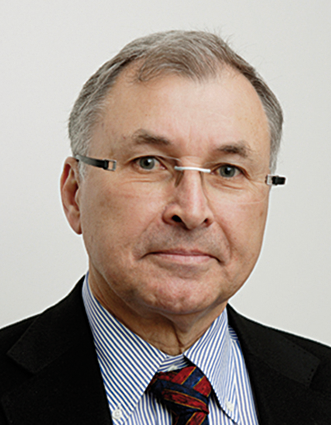 He is retired from AREVA NP GmbH (Former Siemens and KWU) in February 2008, where he has held since mid of eighties various service and managerial positions for power plant chemistry. In the last seven years he was responsible for the water chemistry of the nuclear power plants in his company. His degree as Ph.D. in Physical Inorganic Chemistry was obtained from the Technical University of Darmstadt, Germany, in 1970. I studied Chemistry at the Technical University in Darmstadt/Germany. There I received my Ph.D in 1970. After my military duty of two years I started my engineering career as a research chemist at the Institute for inorganic and physical chemistry of the Technical University of Darmstadt. Three years later, in 1975, I joined the Power Plant Chemistry Department of KWU, working first as a site chemist at the KWU’s construction site Nuclear Power Plant Gösgen / Switzerland. The three years of site work during the construction and commissioning was very educative for me and it determined my future career. After this period, I was working at the head office of Siemens- KWU and was responsible for the elaboration of power plant chemistry documents, such as of chemistry handbooks, procedures for commissioning, etc. Mid-of the eighties, I changed my work activities to service, providing worldwide consultation to nuclear power plants of other vendors as a trouble-shooter. My main activity areas among others were the steam generator corrosion and thermal performance, corrosion product control on the secondary side and dose rate reduction on the primary side. I took a lead responsibility in most of these service activities; and since beginning of the nineties, I began to direct the power plant chemistry service activities at Siemens for about ten years. One of my major responsibilities was the Siemens High Temperature SG Chemical Cleaning process. In the second half of the nineties, I took the responsibility for marketing the Siemens-KWU (later Framatome and AREVA) power plant chemistry products in Europe and North America, especially in Canada. During my last five years with AREVA before my retirement, I was responsible for power plant chemistry issues. I got very detailed information about the LCC Seminars held by ANT International from one of my customers; and I liked the content of their annual book. Since we hired new young engineers for generation replacement in AREVA; I thought these seminars would be an excellent education for them. So I applied AREVA for LCC membership and attended with my young engineers the ANT International LCC2 Seminar in 2006. After this seminar, I was asked by Peter Rudling, to work for ANT International LCC Programme. During the 33 years of my activities on power plant chemistry for Siemens- KWU water chemistry, the issues in power plant chemistry changed a lot worldwide. For Siemens designed PWRs we were lucky to have previously done the correct material and design selection to modify the water chemistry only once in order to avoid SG corrosion problems on the secondary side and to reduce the radiation exposure on the primary side. However, worldwide the water chemistry has changed and is still changing due to the inappropriate selection of materials and/or design. In my opinion, as it is also written in many publications, nuclear industry is experiencing a form of renaissance. With the depletion and cost increase of scares energy resources and the growing worries on environmental pollution, the market is recognizing the efficiency and value of nuclear chemistry. Recognizing this potential, all vendors and utilities that had been slowing down hiring experts in this area over years, realize the need to hire young engineers to replace the old generation. Unfortunately most of these companies or utilities, due to their daily work load, have not sufficient possibilities or capabilities to submit their “know-how” to the younger generation. Here, I think the LCC Programme can contribute a lot for know-how transfer to the successor generation. During my professional life I had to travel often on business trips, and therefore I tried to spend my leisure time mostly with the family. This will continue during my retirement. As much as my leisure time permits, I enjoy traveling, hiking, swimming and visiting archeological sites. At home, I like to play Fussball with my granddaughter, read historical books and also listen to classical music.